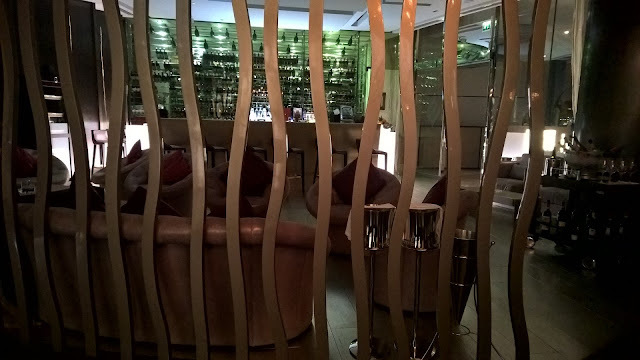 On entering the dimly but perfectly lit restaurant at Jumeirah at Etihad Towers , two things make an immediate impression. The first thing is space. It is not a tight, cluttered restaurant in which I am fooled by ceiling to floor windows. It is genuinely spacious, with the layout of the restaurant leaving guests with a sense of privacy. There are understandably more guests on the terrace, all taking advantage of the gorgeous temperate weather, but my guest and I are lured by something else that makes an impression on me - a pianist. It is more than the novelty of a pianist in a venue other than a Friday afternoon brunch - it is the way he plays. There is no initial eye contact; I feel like an intruder as he is lost in the moment, pouring every bit of soul into the piece. We are seated indoors accordingly, hoping to keep the connection with Antonello, the pianist, alive. Tu Vuo' Fa l'Americano from the film, "The Talented Mr Ripley" has my guest and I feeling vindicated for choosing to sit inside. There is a moment, early on in our evening in which the restaurant manager, Alessandra, and Alessandro, the Chef de Cuisine, share an anecdote reflecting their mutual love for panzanella. It is not so much the content that matters, but the passion and synergy they share. This immediately fills me with a feeling of being welcome in the presence of people to whom food is something that goes beyond the physical, it touches the soul. After all, dining is much more than ingredients or bricks and mortar. The restaurant is elegant. It being Jumeirah at Etihad Towers, one expects no less. But it is one of our starters that serves as a metaphor for where BiCE is trying to position itself. Chef has married my request, the burrata, with the panzanella, and I am enticed. The latter, a Tuscan bread salad, that I find incredibly homely and hearty, serves as a bed for the burrata. The latter is what you would expect - rich, creamy and simply decadent. 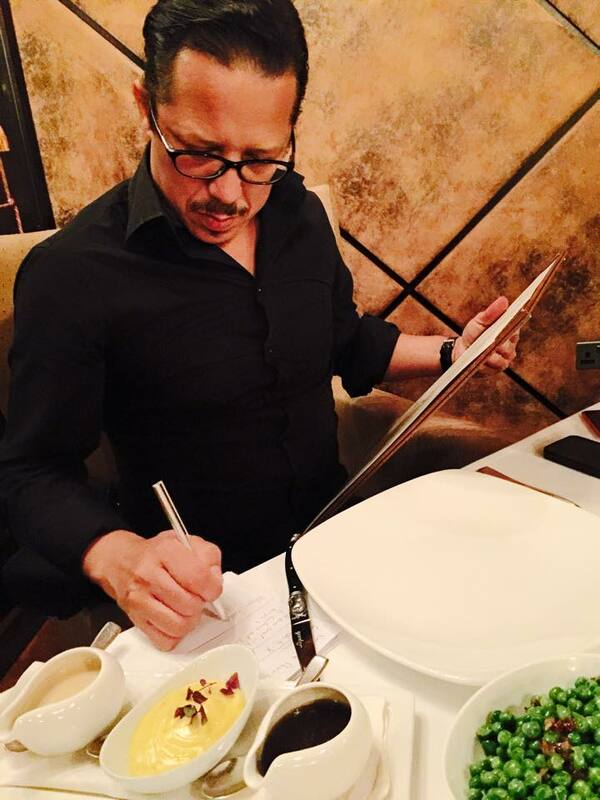 But it is the panzanella that grabs my pen and paper. The panzanella is such a simple salad, but turns out to be so memorable. It is the moisture that Chef has got right, not an easy balance to achieve. The other starter that my guests and I share ( I apologise for the picture quality) is the Polpo grigliato alla Ligure or Chargrilled marinated Octopus. I have only one issue with this dish - it is only a starter! Accompanied by simple ingredients like green beans, potatoes, cherry tomatoes and basil, it brings home everything that makes Italian food such a delight. Fantastic. Our choice of wine for the night is the glorious Nino Franco Rustico Prosecco. This crisp bubbly enchants the moment it is poured. 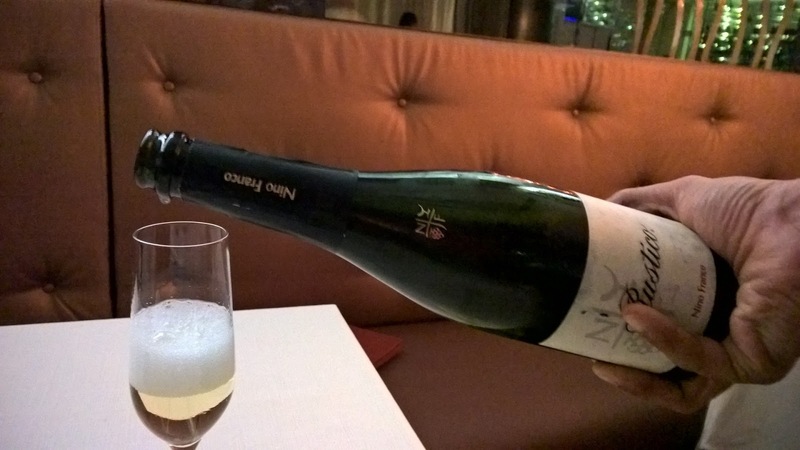 Bubbles are quite fine and persistent for a prosecco, and will serve as our drink for the entire evening. For our pasta course, we have the Linguine all’Astice or Lobster Linguine. The portion is large, and notwithstanding the Atlantic lobster, it is a simple dish that is rich in flavour. 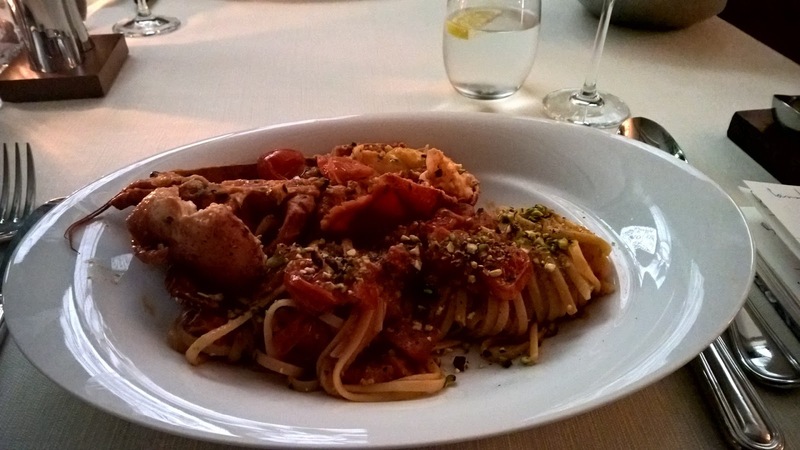 Its success lay in the way two principle ingredients are cooked - the linguine perfectly al dente and the lobster, like the octopus, nice and moist, with the ideal texture you want. 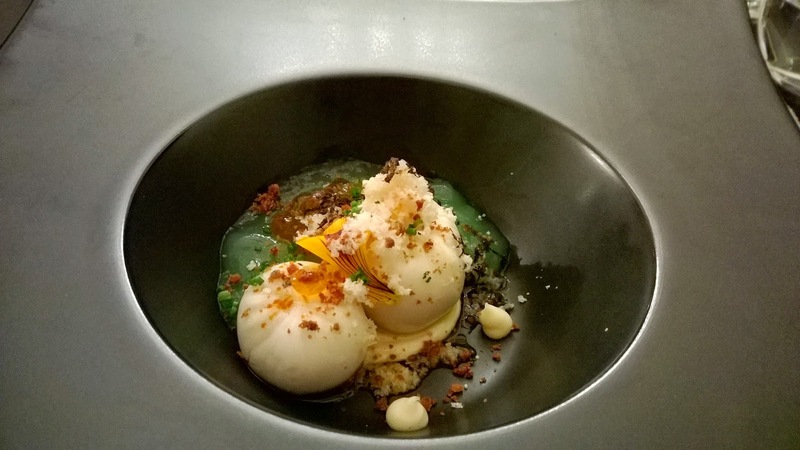 After this wonderful course, we feel compelled to try the risotto, and while my eye is on the ink squid risotto, the Castelmagno Cheese Risotto looks intriguing. 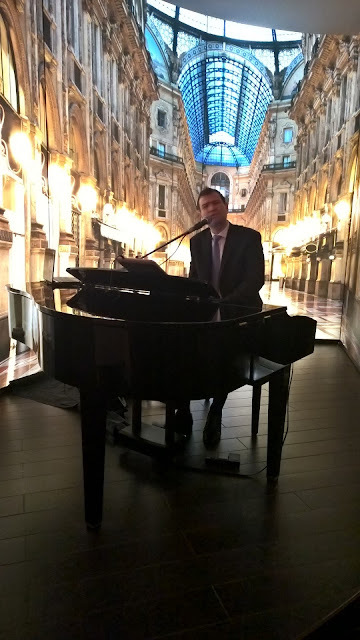 Meanwhile, Antonello, a classically trained pianist, has moved passionately through his rendition of a number of toe tapping tunes including US3's Cantaloop, showing his skill at reading his guests and the prevailing mood in the restaurant. The semi private dining room - to fall in love with. 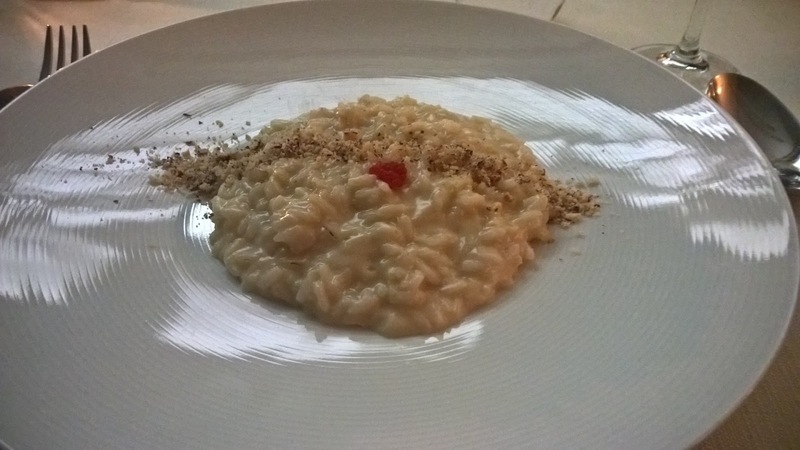 The risotto itself is ok, but missing the dimensionality of flavours we have had up to now. I think it is because there is a citrus element missing, which would have broken the intensity of the castlemagno cheese. However, the risotto is cooked to my liking, with a lot of texture, so it gains some redemption. 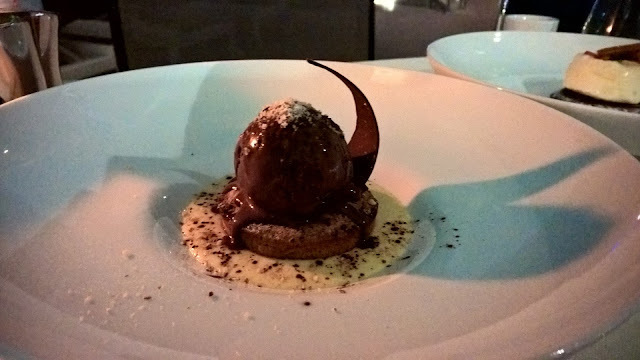 The dish that follows turns out to be the highlight among many highlights this night. 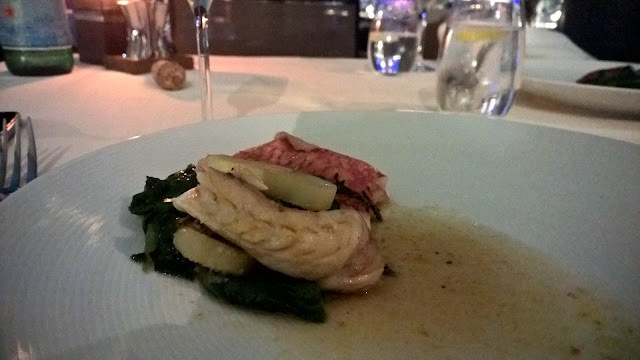 The Filetti di Triglia or Red Mullet, takes simplicity of ingredients onto another plane. It is a dish that wins me over because the flavours are so subtle - herbs, tomatoes, mushrooms and of course the spinach. The fish is served in a plastic bag, so there is of course that expectation of drama, and it does not disappoint because as the bag is untied, the flavours rise up and gently assault the senses. But nothing overwhelming. All balanced. It is a dish that Chef Alessandro has cooked really well because the risk is there to have mushy overcooked spinach, but he gets it right! Also, there is nothing pleasant about dry, over cooked mullet, but no such problems tonight. 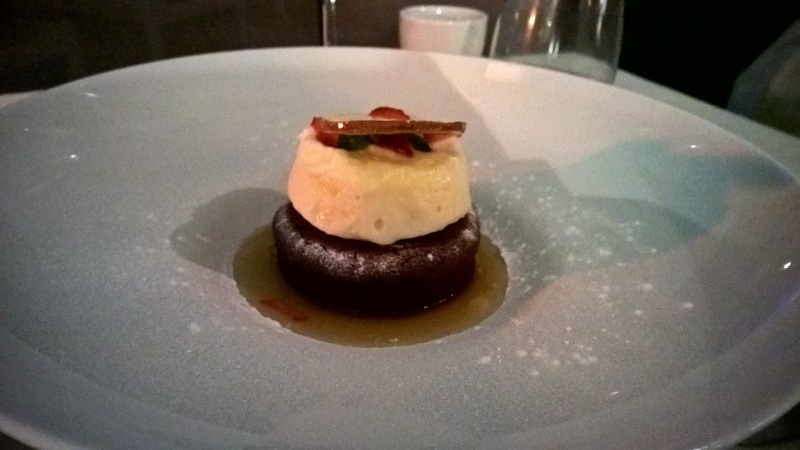 An evening of Italian cuisine is hardly complete without dessert, even though I am tempted to keep the flavours of the red mullet lingering. 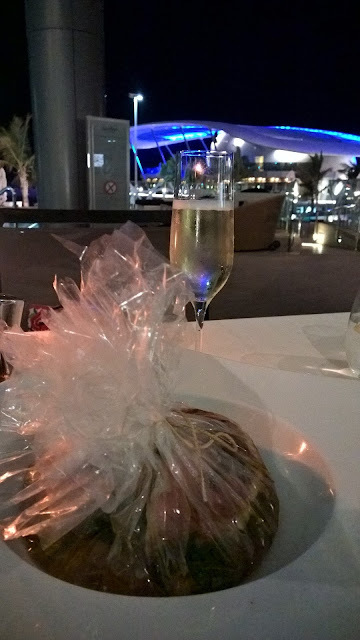 My guest and I have the Capri Chocolate Cake, Lemon Sorbet and the Piedmontese Hazelnut Cake - the latter is my winner tonight. I like it so much that I find the chocolate ice cream, smooth and creamy as it is, a distraction. I would love to have that hazelnut cake with only the sabayon - the aforementioned is a light sauce usually made with egg yolks, sugar and wine, normally Marsala. Overall, I like the way BiCE is positioning itself. 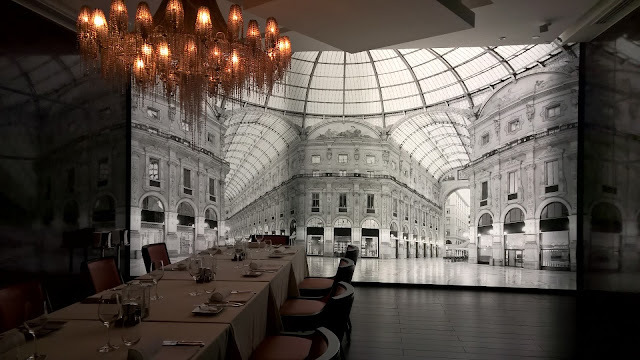 Like a number of Italian restaurants, it is moving towards a more accessible dining experience, where guests can, notwithstanding the elegant setting, feel relaxed. 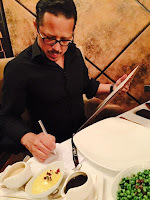 This is also reflected in the menu and presentation of the dishes. 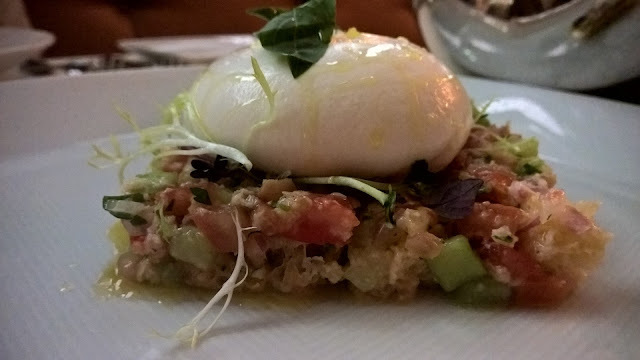 The panzanella and burrata, improvised by Chef, proved to be symbolic of where BiCE is heading - homeliness in a classy setting. I could easily say this about the risotto or the red mullet. 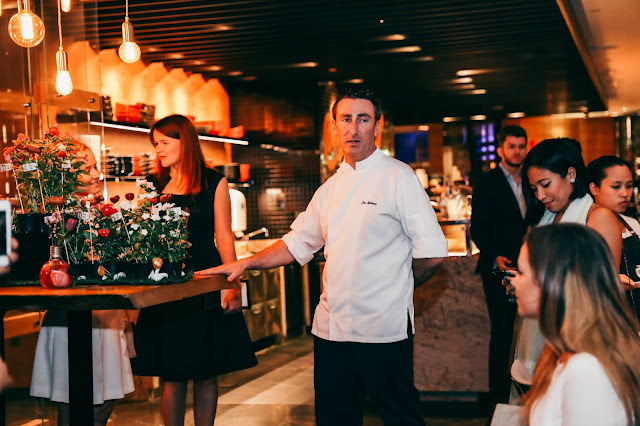 It is not easy for a restaurant like BiCE, housed in the exquisite Jumeirah at Etihad Towers, to sell itself as homely, but tonight was evidence that it can be done, and that it is certainly the right direction to take. 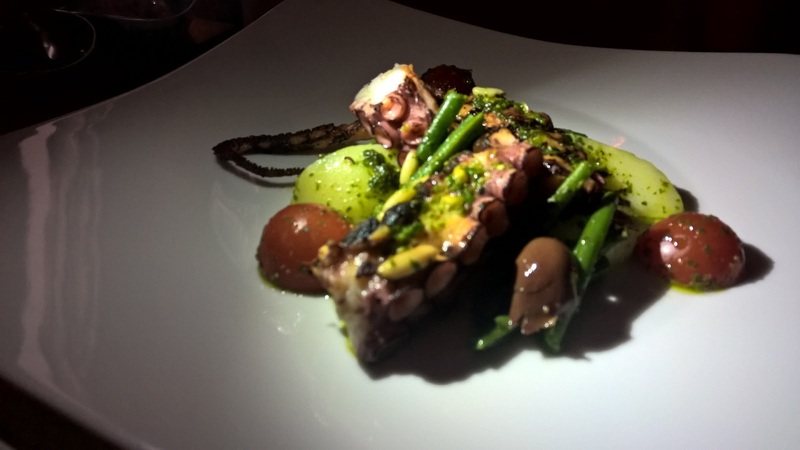 Then, and this is so important, there is Antonella, who gives the restaurant an edge over most of its rivals in what is a very competitive market. If people were merely after food, they could order in. But they are seeking much more, something BiCE is able to provide. Disclaimer: I consult at restaurants and hotels in an attempt to look at the entire product to take service levels to where they should be. I visited Bice courtesy of the hotel.